The Optional.ofNullable() method returns a Non-empty Optional if a value present in the given object. Otherwise returns empty Optional. 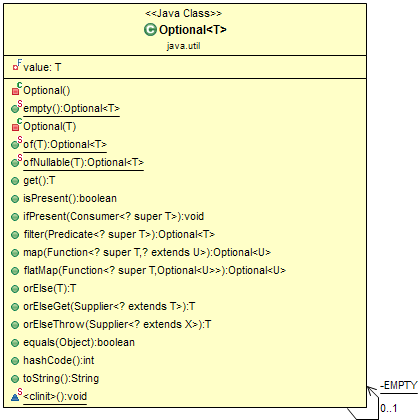 Optional.empty() method is useful to create an empty Optional object.